We’re in Jeju today, and what a wonderful time to be here! Being overseas for a short time means you should always only have with you your travel beauty essentials, things that you would naturally reach out for when time allows for it. I’ve brought along some of mine, and thought it would be nice to share them with you. 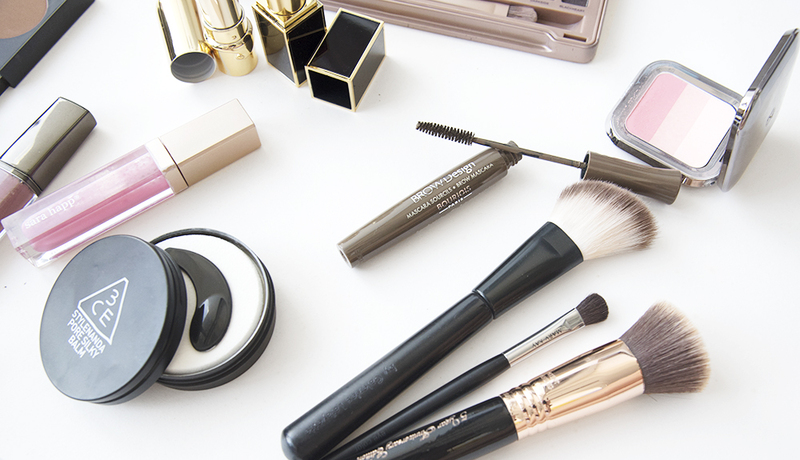 Everything’s here, except for my Diorskin Forever Compact Foundation. The Australis AC On Tour Contouring & Highlighting Kit. In My Travel Beauty Essentials: Skincare Edition, I mentioned that the Australis AC On Tour Contouring & Highlighting Kit is the only contouring product I own – and I can’t be more glad to feature it here. It’s a product that has everything you need for decent contouring and highlighting, and because it’s in a compact powder form, it works great for oily skin. 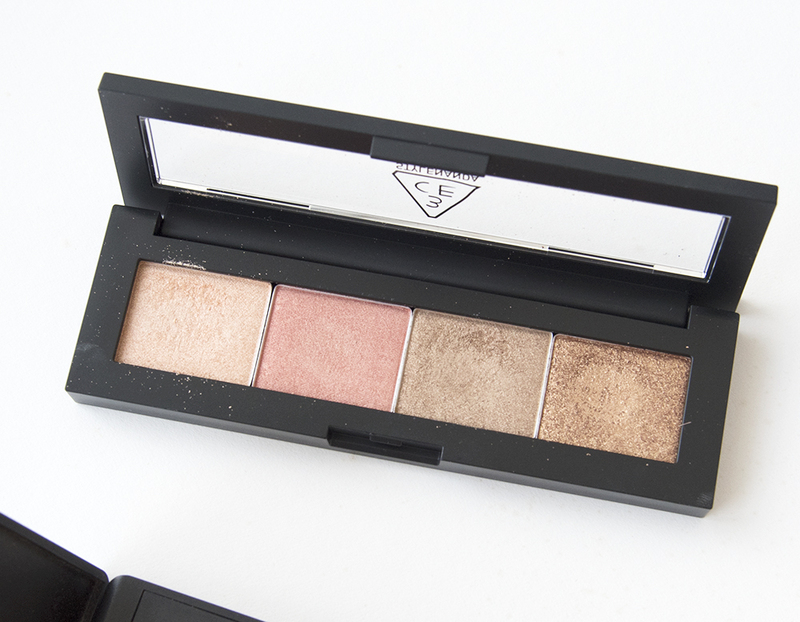 You can read my detailed review on this palette and see more close ups of it here. The 3CE Eyeshadow Palette in Bitter Sweet. The two 3CE products were bought last December when I was in Seoul, and I’m so glad to have discovered them. You can read my review on the 3CE Pore Silky Balm here. The Urban Decay Naked 3 Palette is the Naked palette that best suits my skin tone, and I always bring it with me whenever I travel. 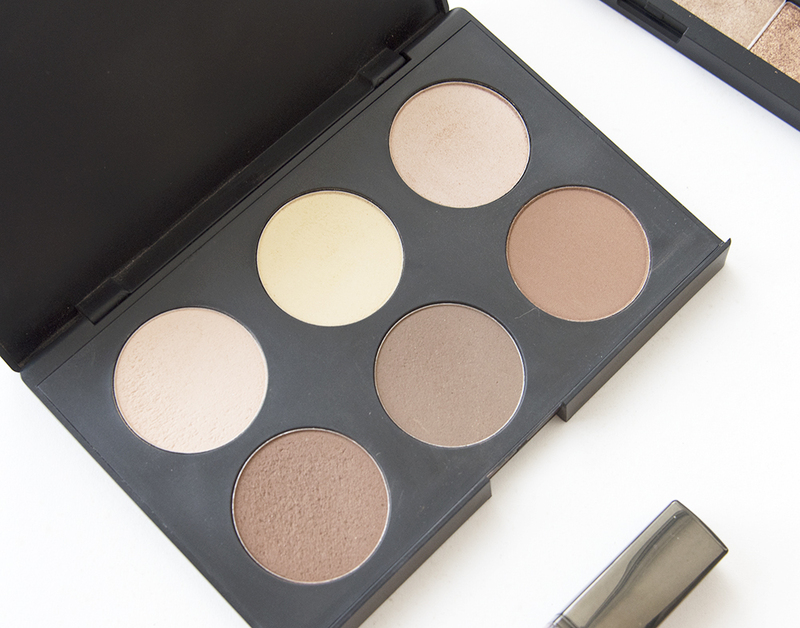 The shades in this palette are complementary and you can use it to create both daytime and nighttime looks. The Kiko Milano Shade Fusion Trio Blush is one of my current favourites, and I wish I had bought more than one. Check it out in detail at my blog review here. 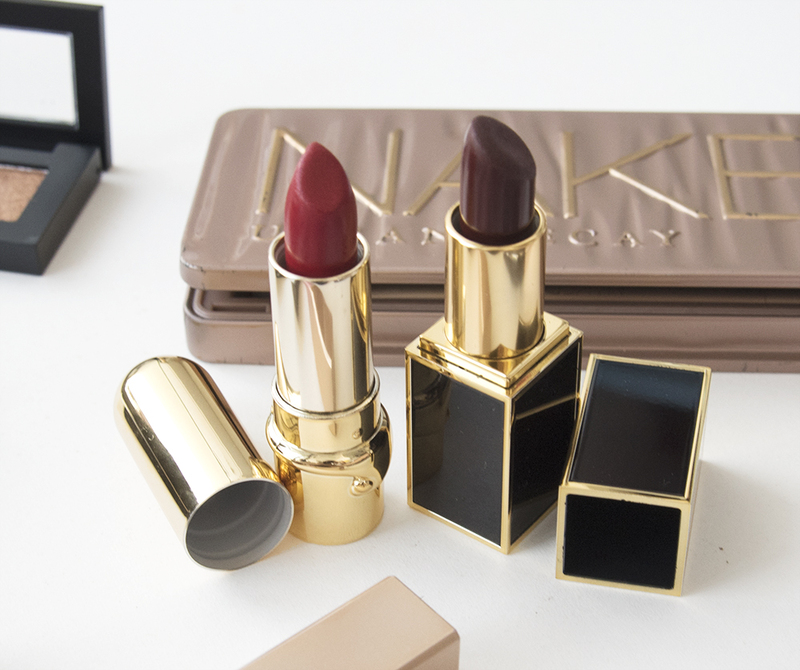 My lips love Julie Hewett and Tom Ford. 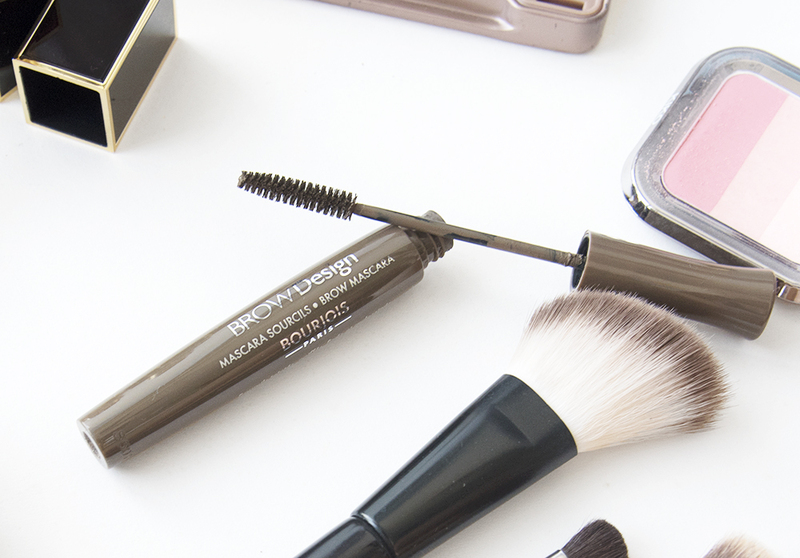 The Bourjois Brow Design Brow Mascara in 03 Châtain. So there you have it! 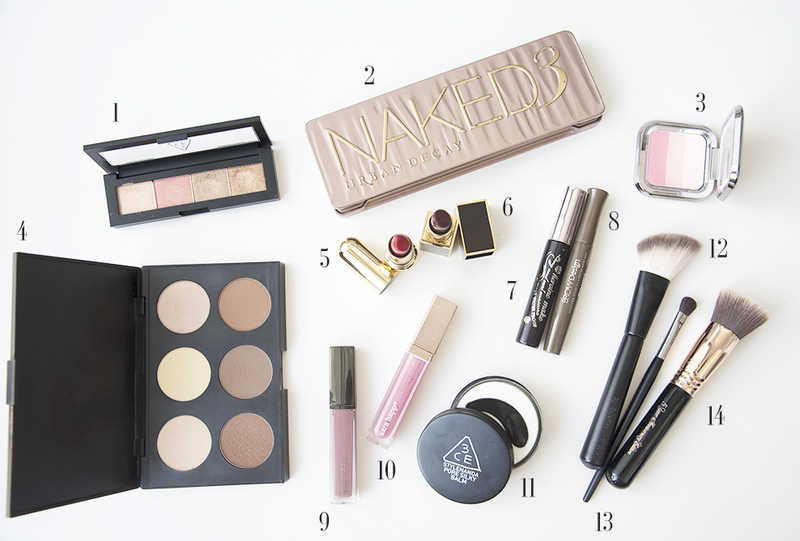 Just some of my current makeup items I cannot live without, and will continuously restock until something better comes along – which is highly unlikely. If you’ll like to follow me on my Korean adventure, do head on over to my Instagram @lacedivory. I’m also on Snapchat (“lacedivory” as well) and Facebook. See you on the other side! My Travel Beauty Essentials: Makeup Edition was last modified: July 14th, 2016 by Roxanne C.
First Impressions Count. They Always Do. @2016 - The Skinny Scout. All Right Reserved.